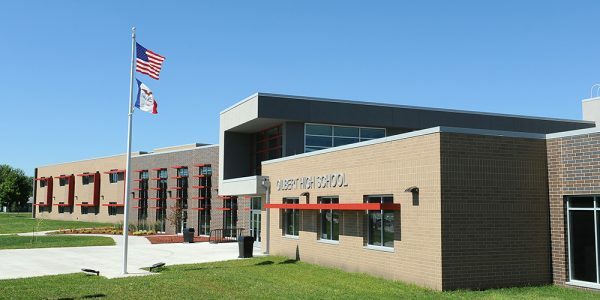 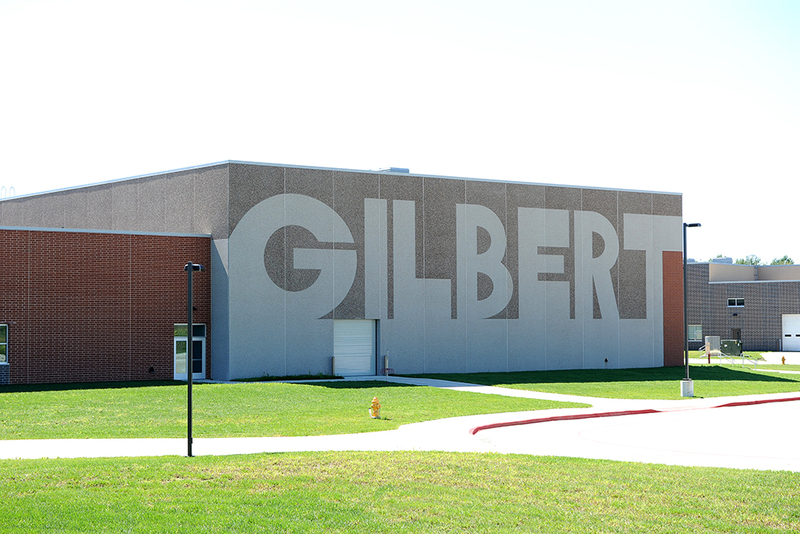 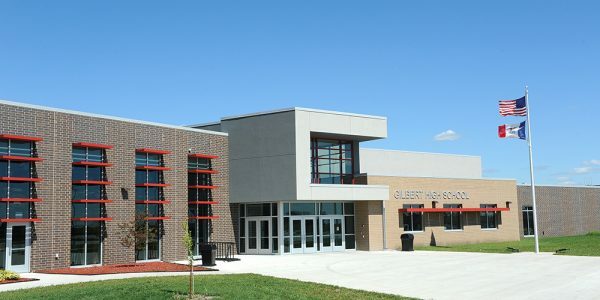 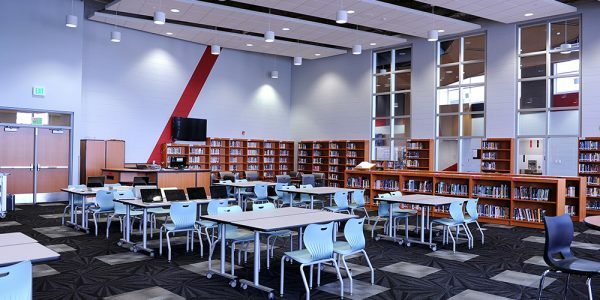 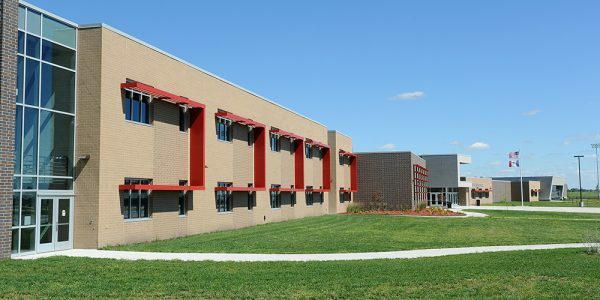 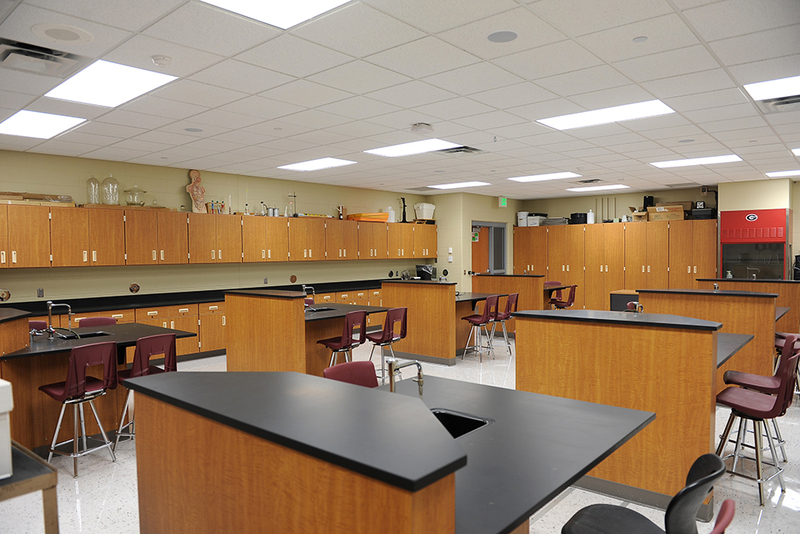 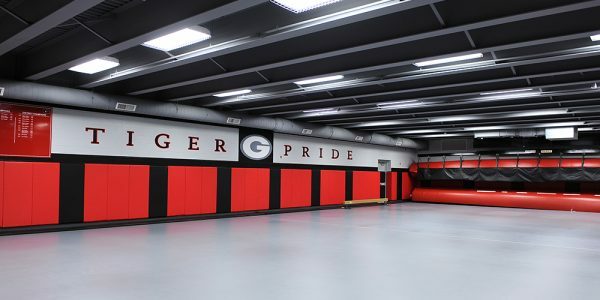 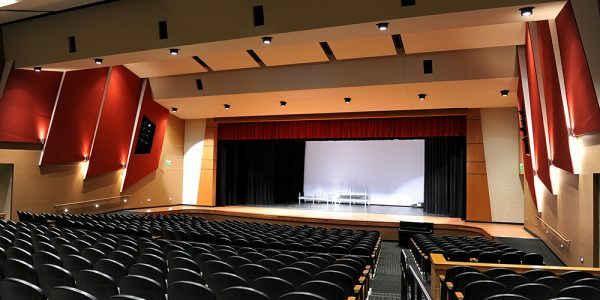 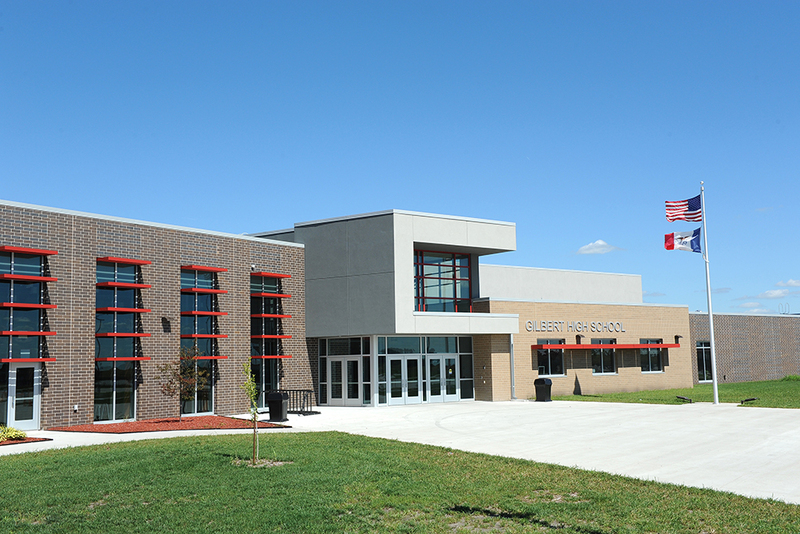 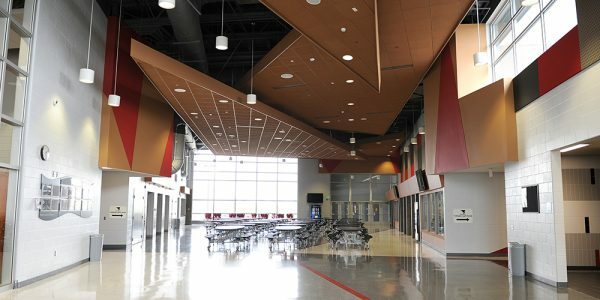 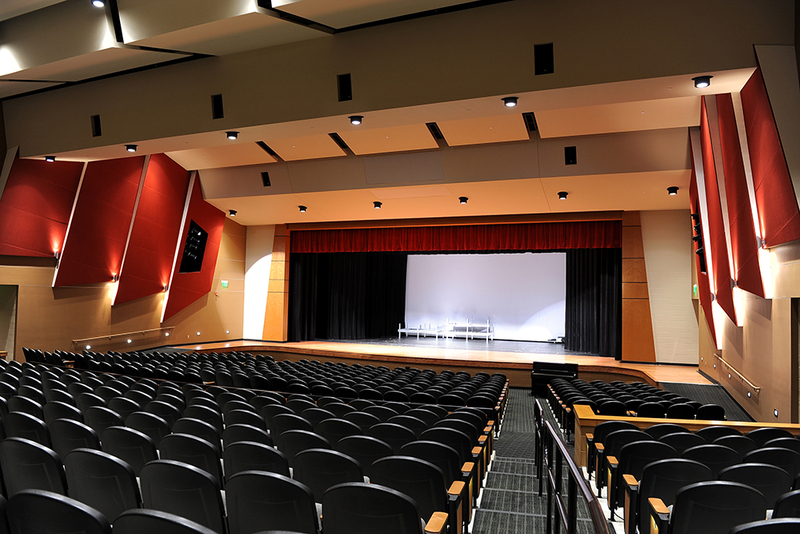 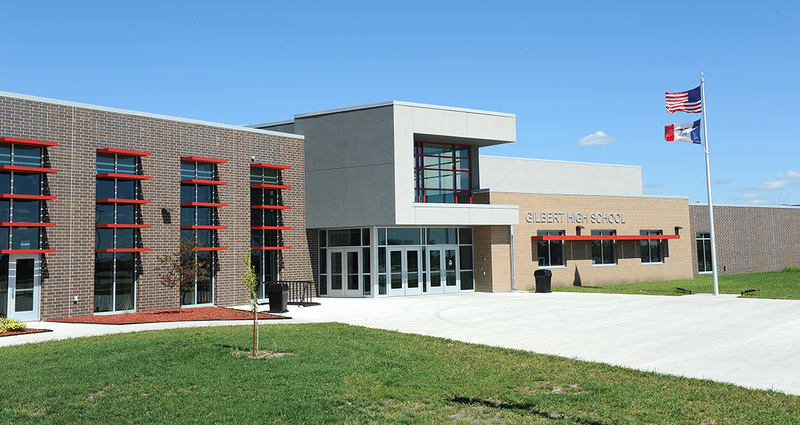 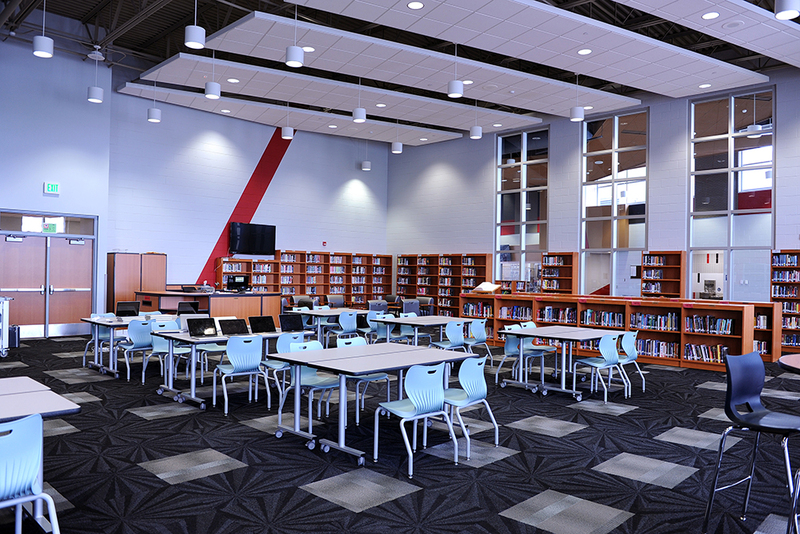 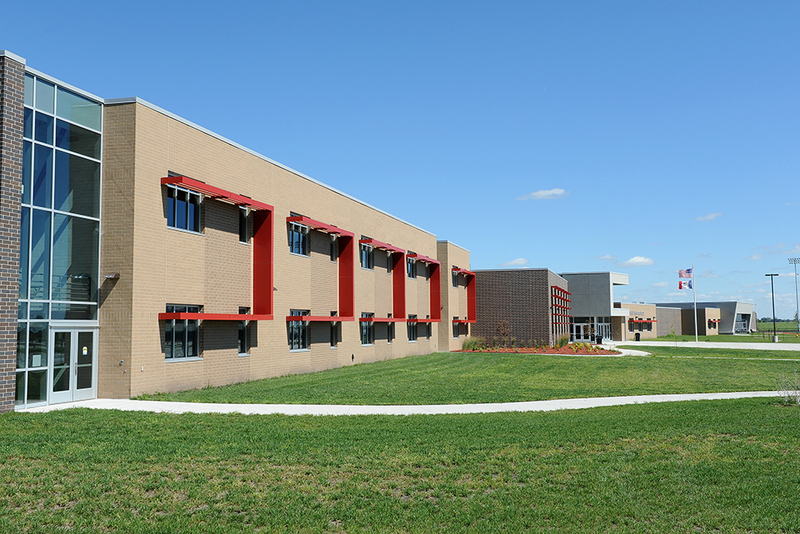 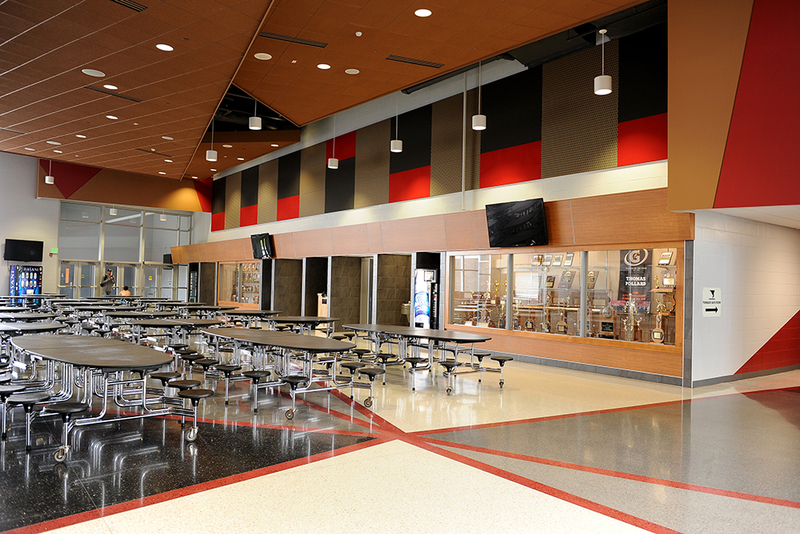 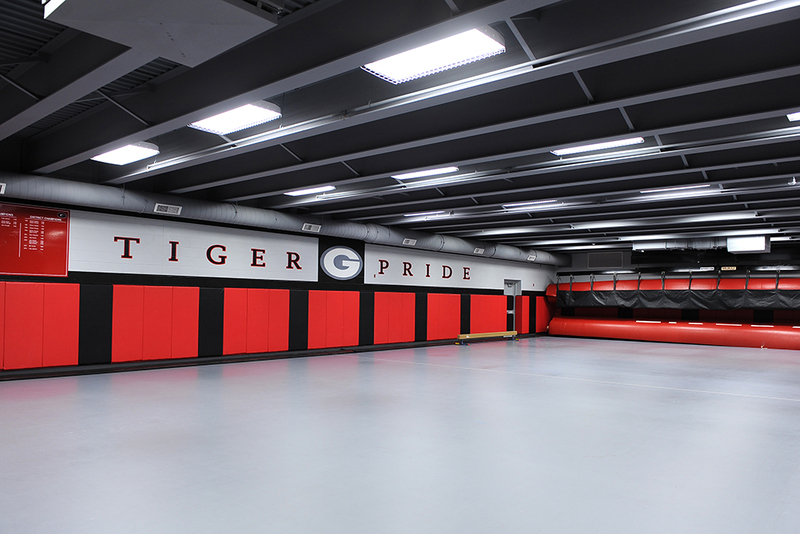 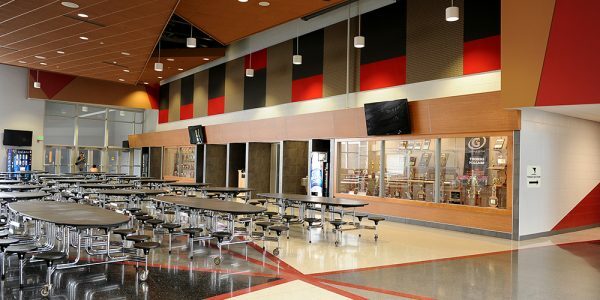 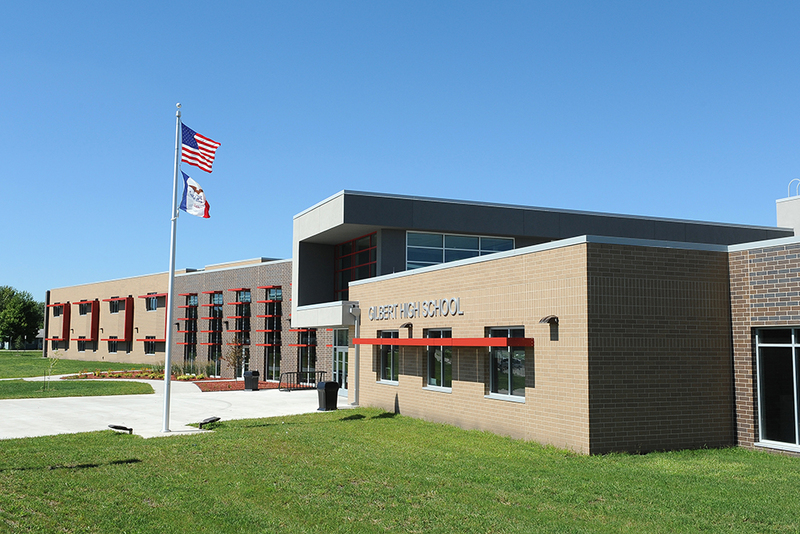 This new high school facility is in the Gilbert Community School District in the town of Gilbert, Iowa. 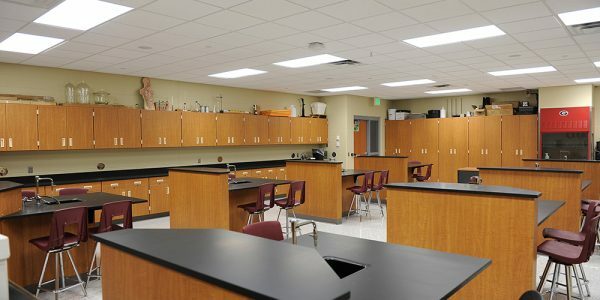 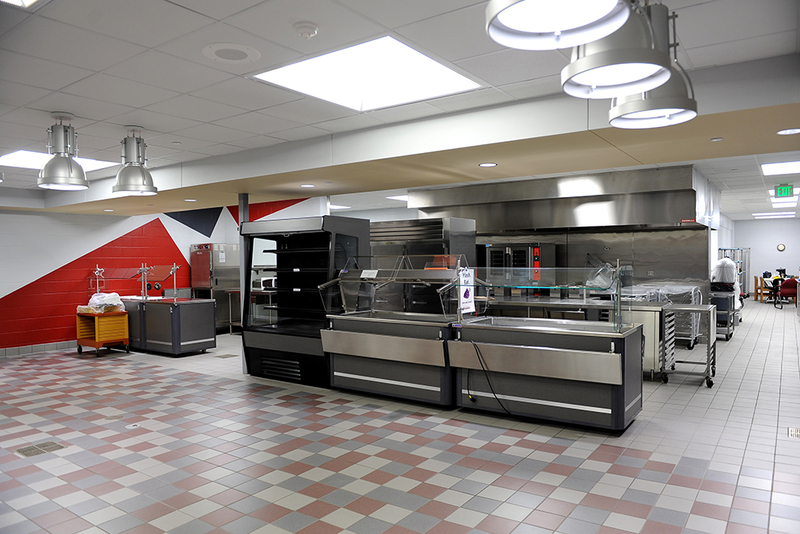 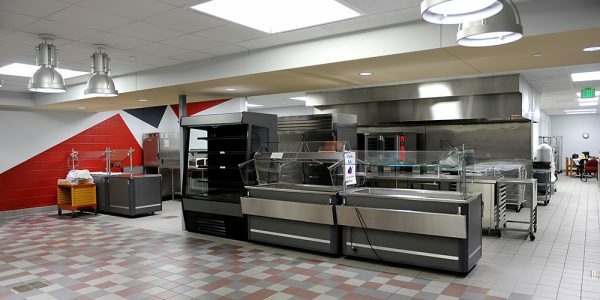 With a footprint of over 120,000 SF, this new building includes a state of the art academic wing, cooking and serving kitchen, media center, gymnasium, 605 seat auditorium and a FEMA Safe Room. 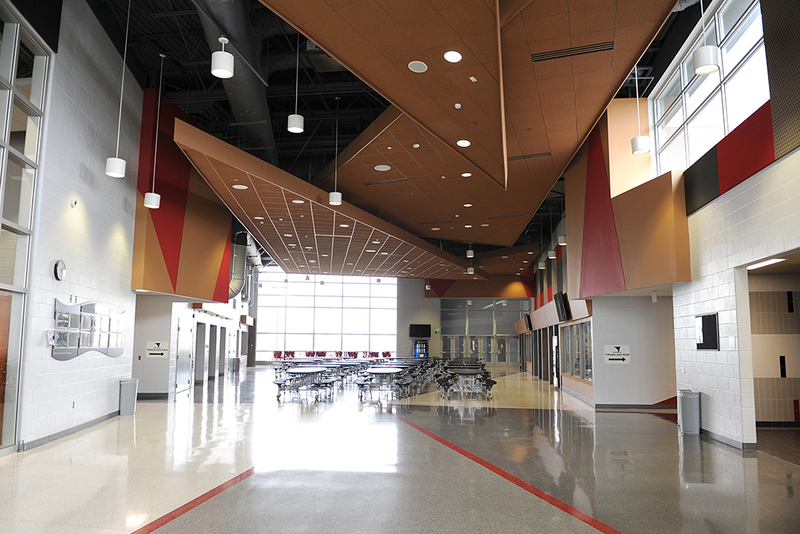 The commons features a large amount of curtain wall glazing for natural lighting. 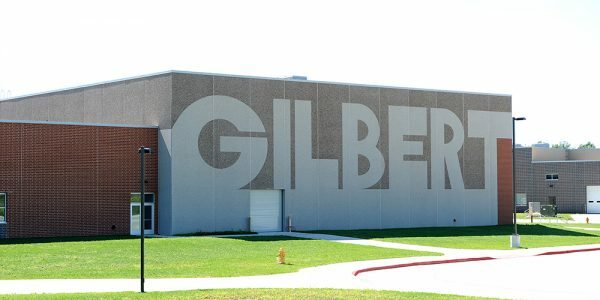 The building was designed for the growth of the Gilbert Community School District.